Until his untimely death in 1991, David Herlihy, Professor of History at Brown University, was one of the most prolific and best-known American historians of the European Middle Ages. Author of books on the history of thirteenth- and fourteenth-century Italy, Herlihy published, in 1978, his best-known work in collaboration with Christine Klapisch-Zuber, Les Toscans et leurs familles (Translated into English in 1985, and Italian in 1988). 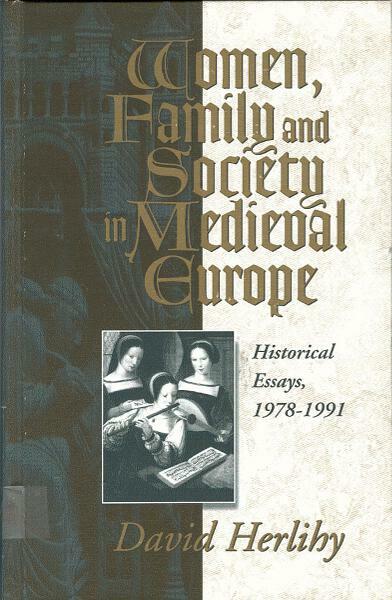 For the last dozen or so years of his life, Herlihy launched a series of ambitious projects, on the history ofwomen and the family, and on the collective behavior of social groups in medieval Europe. While he completed two important books - on the family (1985) and on women's work (1991) - he did not find the time to bring these other major projects to a conclusion. This volume contains essays he wrote after 1978. They convey a sense of the enormous intellectual energy and great erudition that characterized David Herlihy's scholarly career. They also chart a remarkable historian's intellectual trajectory, as he searched for new and better ways of asking a set of simple and basic questions about the history of the family, the institution within which the vast majority of Europeans spent so much of their lives. Because of his qualities as a scholar and a teacher, during his relatively brief career Herlihy was honored with Presidencies of the four major scholarly associations with which he was affiliated: the Catholic Historical Association, the Medieval Academy of America, the Renaissance Society of America,and the American Historical Association. Anthony Molho is Munro Goodwin Wilkinson Professor of European History at Brown University, and has written several works on the social, political, and economic history of late medieval and early modern Italy.